1. What led you to a plant-based lifestyle? Right after my 16th birthday I developed acne so bad I didn't want to go out of the house. I tried everything to make it go away, but no pill, cream, or dermatologist could..but around the age of 18, I learned that it could be caused by what I was eating, read some books on it, and then changed my diet towards plant-based. My skin finally cleared up. I've been traveling down the food and nutrition rabbit hole ever since! 2. Have you always considered yourself health conscious? No, definitely not! I grew up eating cookie sandwiches (two Keebler rainbow cookies between two slices of Wonder bread) and dominos pizza. As far as I knew, there were only 3 food groups: bread, cheese, and fried. It's not until I realized that food changes everything: your weight, your skin, and most importantly, your health! 3. What is your favorite go-to breakfast meal? In the summertime I love simply fresh fruit, like melon, berries, nectarines, and figs. Sometimes I make fruit smoothies with added hemp protein. And on the weekends, I love a good avocado toast with red pepper flakes. 4. Do you believe your tastes buds change over the years and foods you may have disliked before you enjoy now? Totally! Prior to going plant based, I thought I hated vegetables, but it was really just that I never ate them and that my tastebuds were so whacked out on all the salt, sugar, fat, and chemicals I was eating, so that the vegetables seemed boring. I started with salads, and then would gradually add in different fruits and vegetables one at a time. When you start incorporating these foods in, your palate changes and you start craving vegetables. 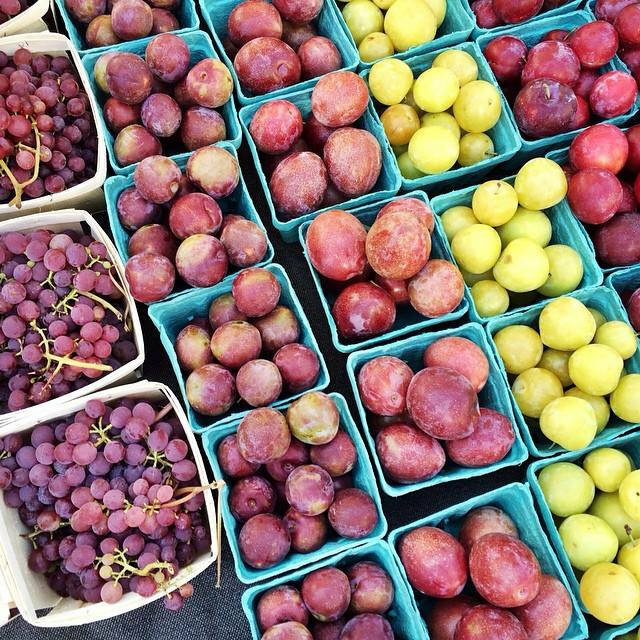 Now, one of my favorite things to do is go to farmers markets and taste new things. And it works in the reverse, too. Growing up, my father was friends with a butcher, so we ate steak all the time. Maybe about a year after going plant based my boyfriend at the time got invited to one of the fanciest steakhouses in the city. I thought I would just try it, but I literally couldn't even chew and swallow it. It made me gag and I just physically could not eat it. The same goes for everything. When you wean your body off sugar, all of a sudden foods you used to love taste sickeningly sweet to the point you want to spit them out, and you don't desire them at all. People never believe me when I tell them this, but when done correctly, it absolutely works...this is what I teach my clients to do. 5. What type of food do you recommend eating for clear, glowing skin? Lots of fresh greens, veggies, and fruit! Clear glowing skin is really the result of two things: Adding in foods that support and nourish your skin with the vitamins and minerals it needs, as well as taking out the foods that inflame your skin and cause it to erupt into breakouts. It's not always the same exact foods for everyone, so it's important to pay attention to your body so you can understand what are your trigger foods. One of my favorite remedies for a breakout is milled flaxseed which is highly anti-inflammatory and will bring redness and bumps down overnight. I used to sprinkle it on a salad or on toast with coconut oil and olives or avocado. 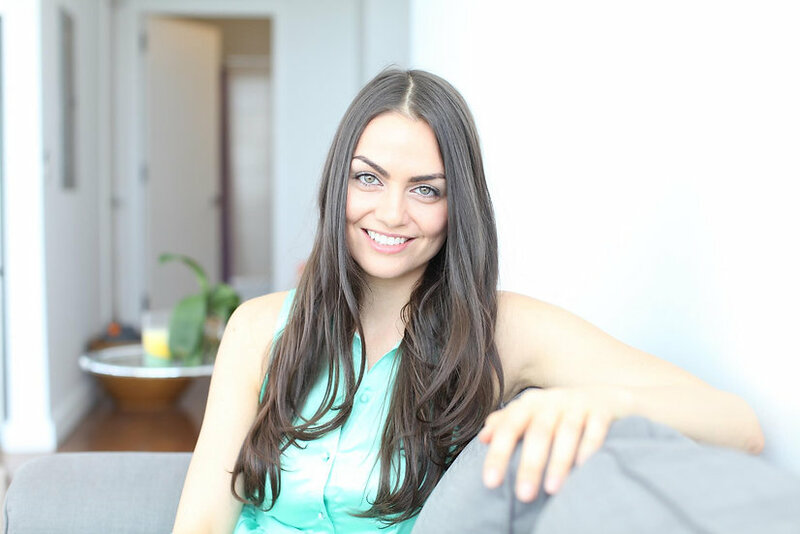 I started a super fun (and eye-opening) 10-week program called SVELTE that teaches participants how to lose weight and clear up their skin by cleaning up their eating habits. It walks you through painlessly kicking your sugar and junk food cravings and teaches you how to add in the right foods to rev up your metabolism and improve your digestion. We laugh a lot and learn even more. Most people lose between 10-20 pounds and get rid of acne by the end of the 10 weeks. It's available online or in NYC and the next round starts in September. I'm really proud of it, most people who go through it call it "life-changing" because it changes your whole perspective on food, and helps you eat in a way that will keep you slim and healthy, for good! 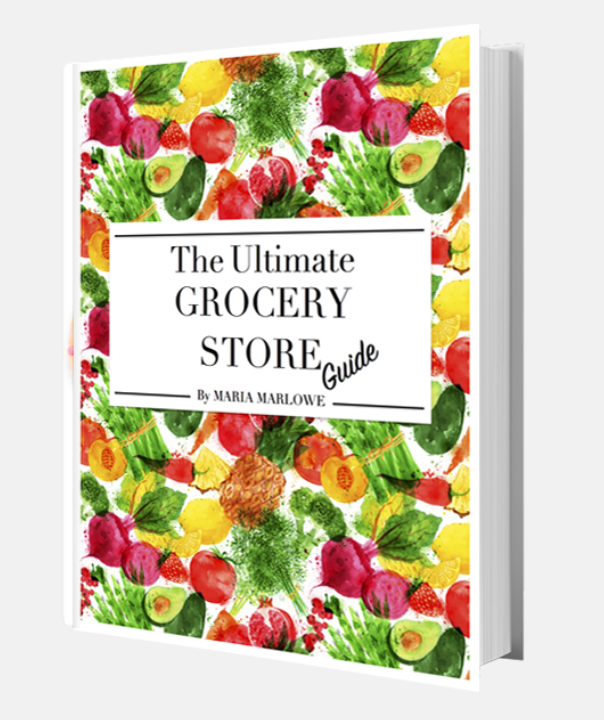 I also recently published the Ultimate Grocery Store Guide which is a must read if you do the grocery shopping for you or you family. This comprehensive guide demystifies what it really means to “eat healthy,” while saving you the time, money, and frustration that often comes along with grocery shopping. A single person can expect to save over $1,500 a year, and a family, even more. You'll learn how to correctly choose over 70 fruits and vegetables so they are always the most nutritious, ripe, and tasty, as well as how to read nutrition labels and avoid controversial ingredients. You'll never go home with brown avocados, tasteless melon, or potentially toxic products that can harm your health, again! All photos by Maria Marlowe.